The second to last ASUCR meeting of the quarter was held Wednesday, Nov. 28 in HUB 221 at 6:30 p.m. and focused on plans for next quarter including the election coming up which will be digital. The Senate discussed moving from paper voting to digital voting. Digital voting is being offered as an incentive for students to go out and vote. 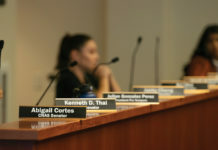 Concerns over the safety of online voting were addressed by ASUCR President Semi Cole and stated, “In years past, the ASUCR was criticized in terms of elections the vulnerability of information to information; online voting is a big thing.” He continued, “There’s basically a two-step process. 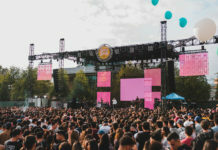 You log into your R’web or iLearn and you’ll have an app on your phone that can insure a safety measure that protects your student data.” One of the attendees, UCR alumnus Kevin Dawson, a stated that before he had been one of the people that had advocated against voting online because there was no paper trail. During the session CHASS Senator Julian Gonzalez, a third-year political science major, gave an update on the Ozzi vending machines and stated that he is currently in search of other corporations that may also want to participate in providing free access for reusable food containers on campus. 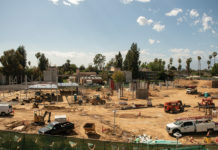 His solution to this was offering the north district on UCR’s campus, which includes 268 houses that have been vacant for about a year and a half; this solution would be viewed as temporary. By offering this solution some people would not have to worry about being evicted from living in tents by Walmart. Andy Plumley Assistant Vice Chancellor addressed the UC’s Housing Assistance Initiative and spoke about the $3.3 million received to use as a continuous source of revenue through the increase of solar energy use. According to Assistant Vice Chancellor there have been many students that are excited to help the environment through more solar energy. The last ASUCR meeting of the quarter will be held Wednesday, Dec. 5 in the senate chambers, HUB 221. Previous articleThe Blue Wave was Real. Let’s examine the facts.